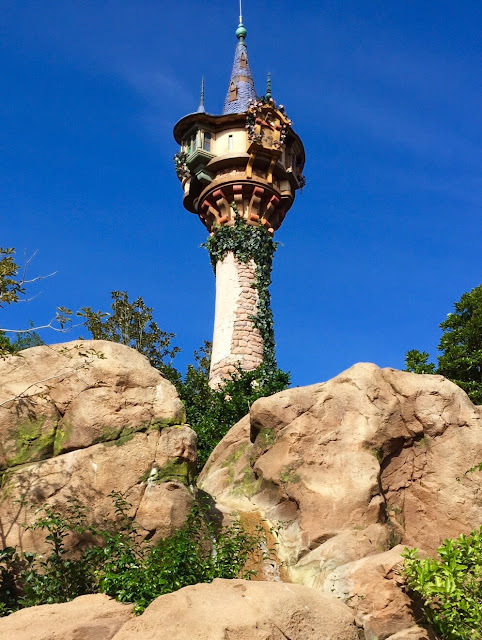 Rapunzel's Tower can be seen from several different areas in the Magic Kingdom. Many of my young tour guests get excited when they first notice it. Their enthusiasm typically wanes a bit when they hear that it is simply part of a well themed restroom complex. Although it is not an "attraction," this area of Fantasyland certainly highlights several aspects from the movie Tangled, and includes cell phone charging stations, hidden Pascals, and some very nice restrooms.